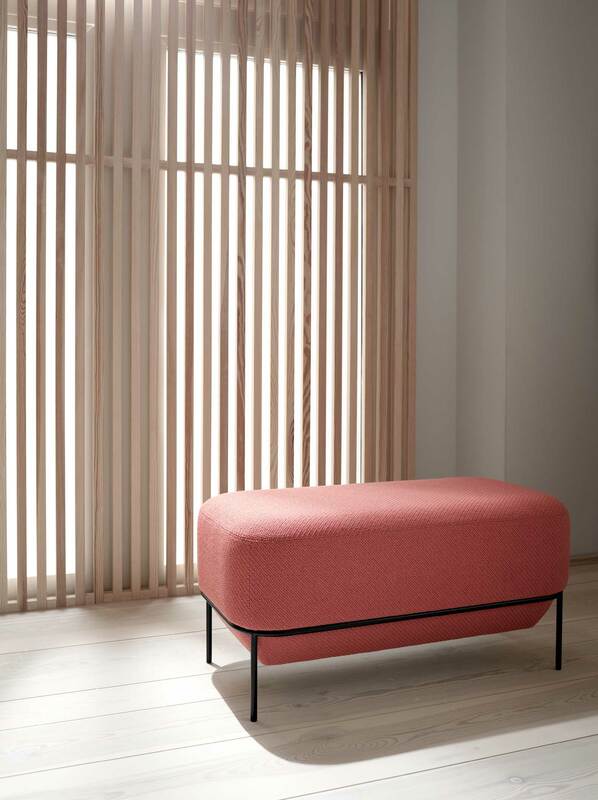 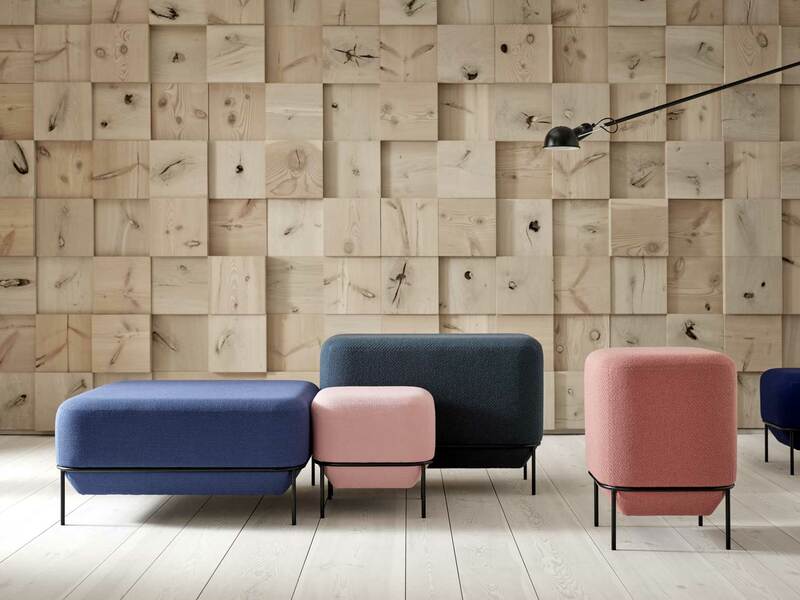 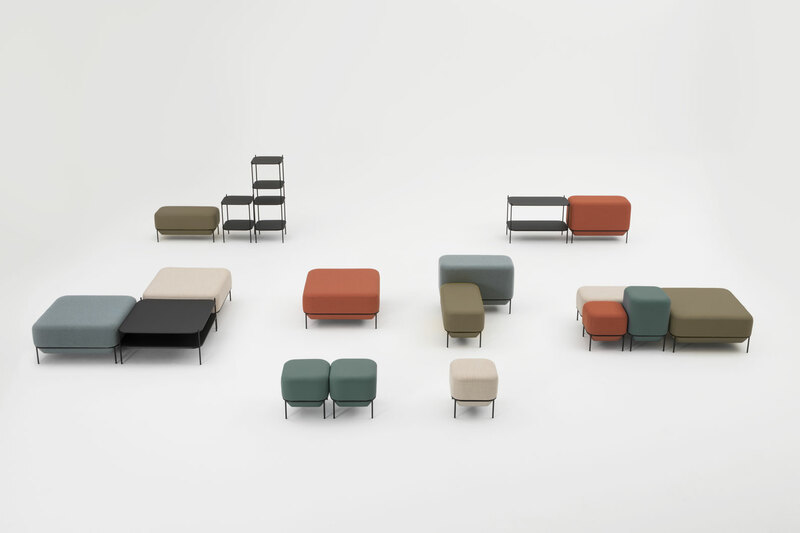 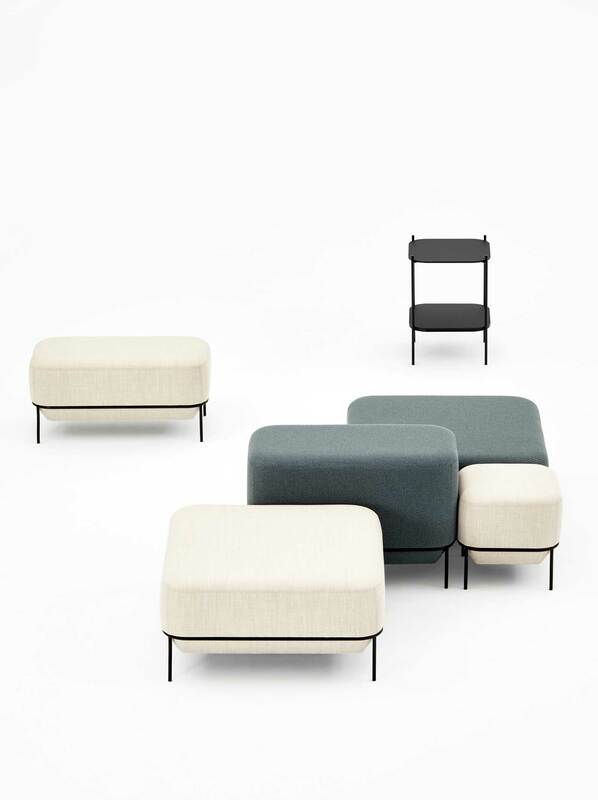 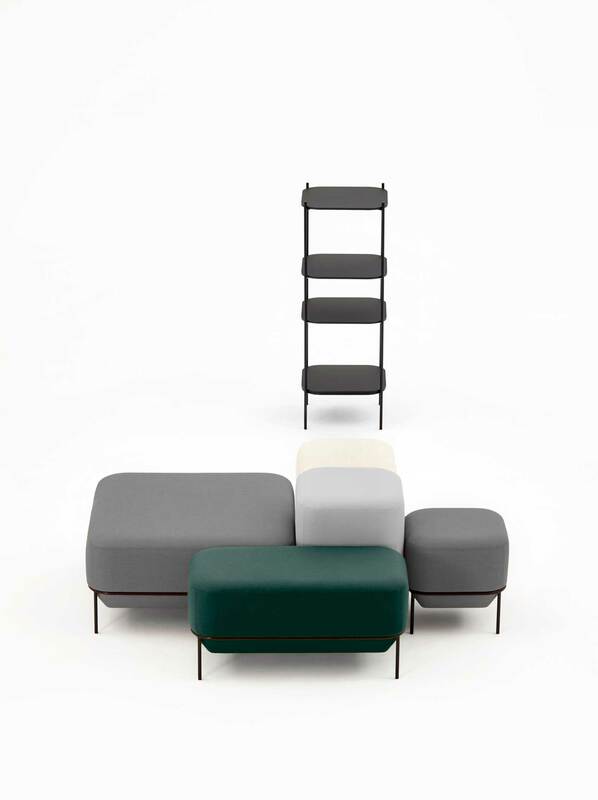 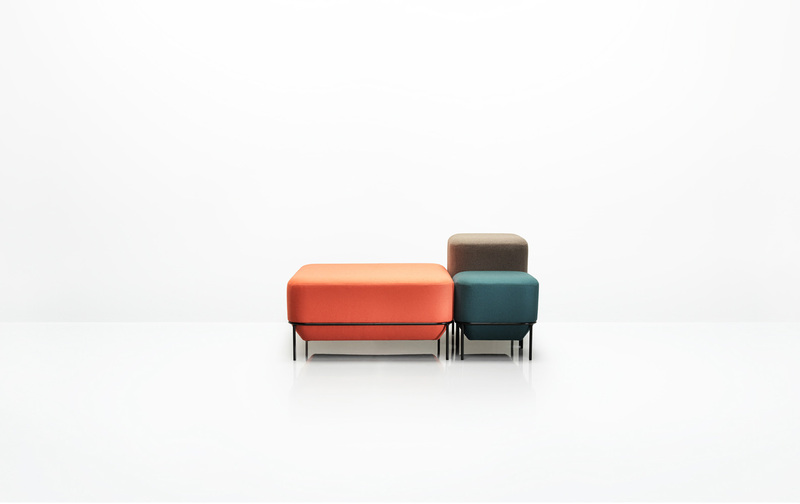 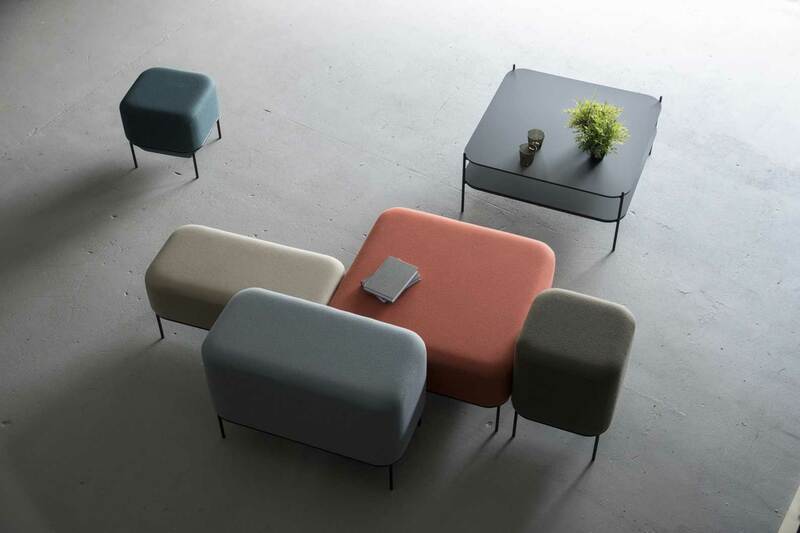 A modular system of seating and storage that has at its heart the ability to configure in an infinite number of ways. 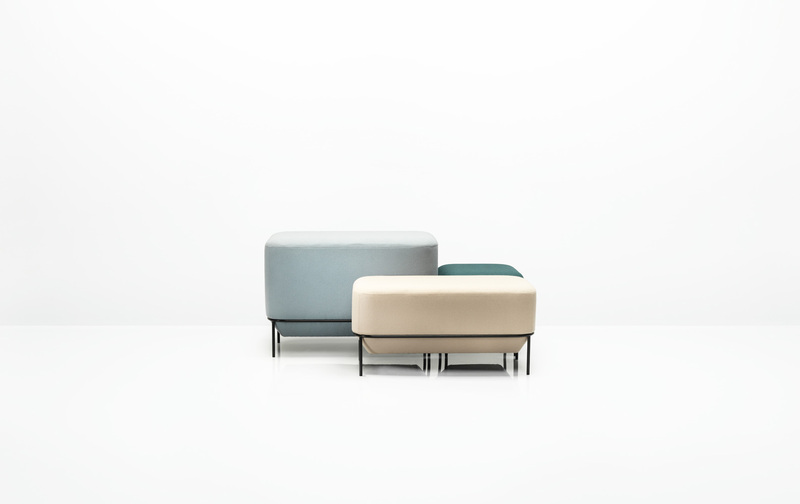 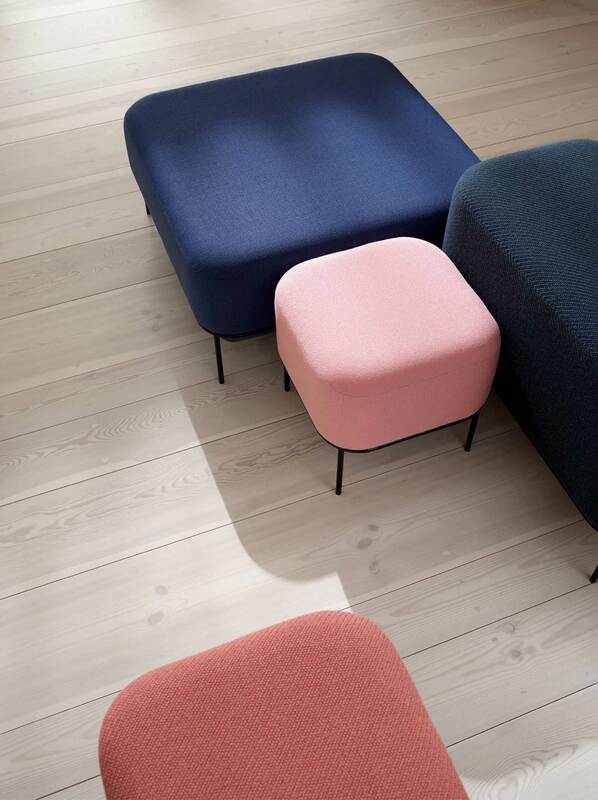 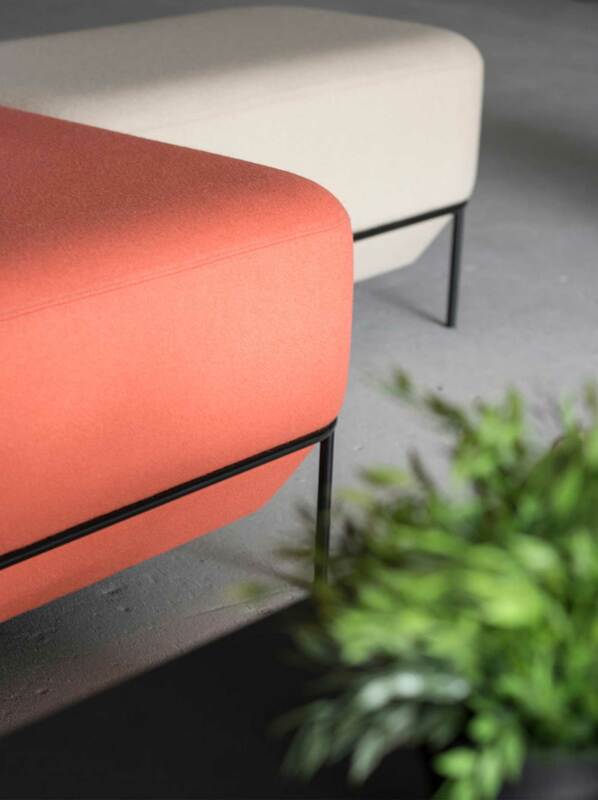 The simple geometric progression of the size of the units allows for maximum flexibility of arrangement, allowing them to adapt to and define both large and small spaces. 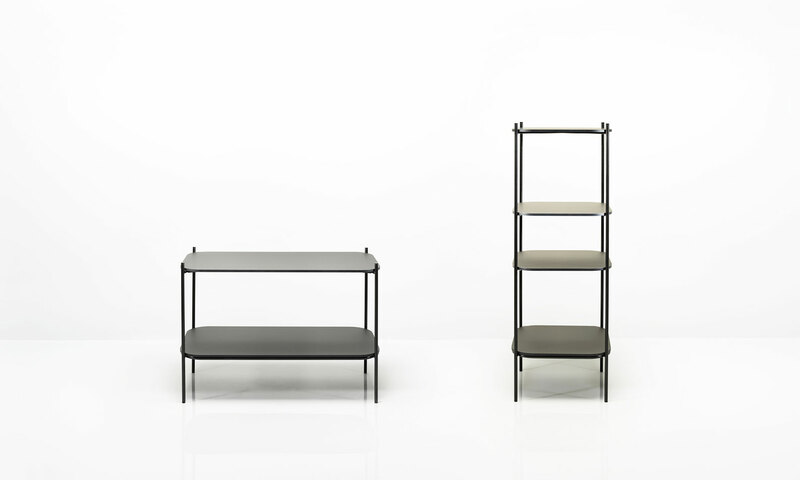 The design of the range deliberately plays on the potential of combining the inviting mass of the seating units with the transparency of the storage units, both of which use a minimal steel structure to frame and support them. 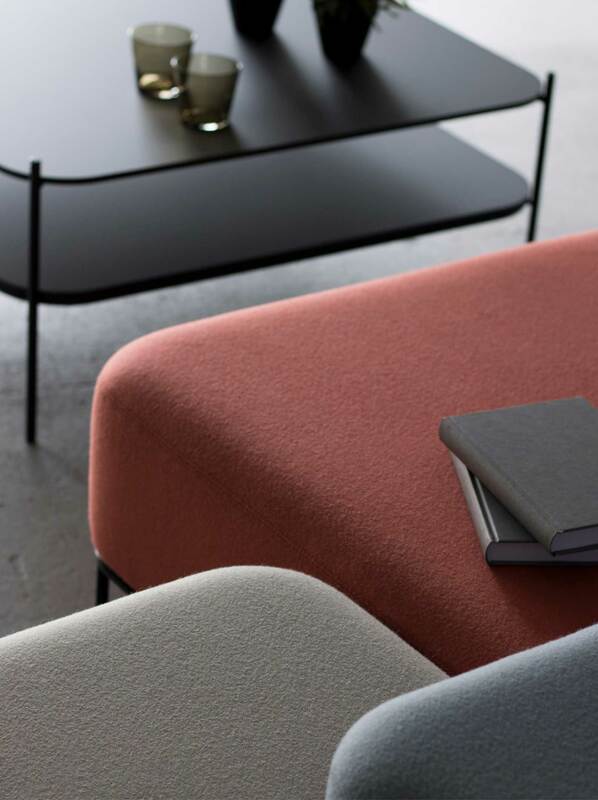 This allows for the creation of interior landscapes made up of different patterns of colour, density and size, which in turn facilitate different patterns of behaviour, function and interaction.